The Cleveland Cavaliers struggled throughout the month of March but turned things around with a blowout road win over the Boston Celtics earlier this week, as LeBron looked like the best player in the world again to help his squad regain that number one seed back in the Eastern Conference. 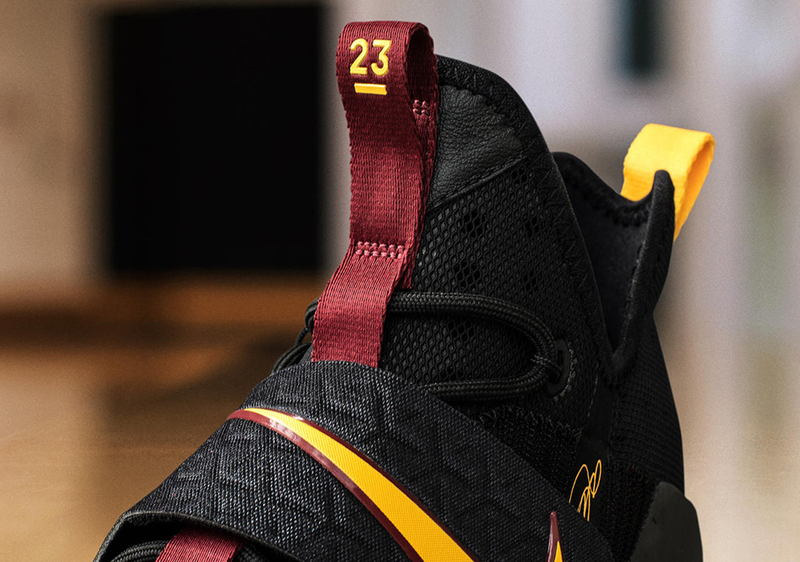 The NBA Playoffs are only a week away, so you can expect LeBron and Kyrie to both showcase a number of awesome player exclusives throughout the first round. 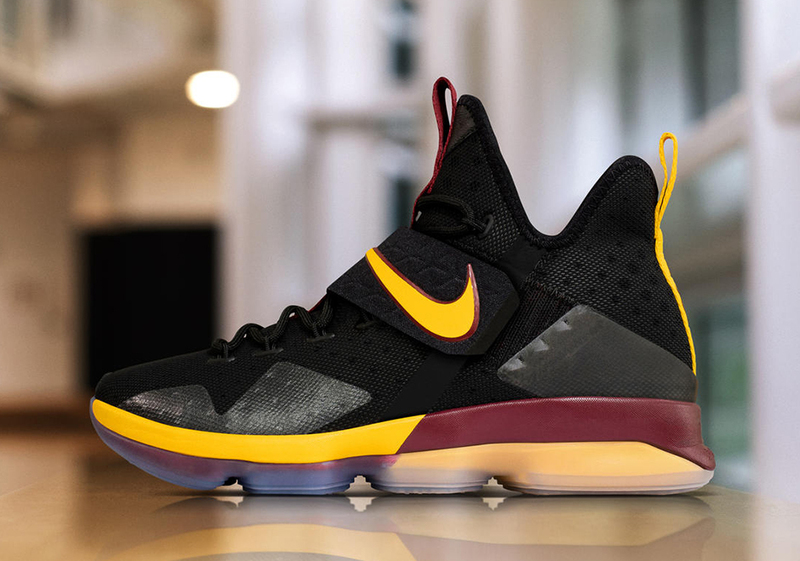 Nike Basketball recently previewed this Nike LeBron 14 “Alternate” PE to match those black sleeved jerseys that served as somewhat of a lucky charm for the Cavaliers’ historic 3-1 comeback against the Golden State Warriors during last season’s NBA Finals. The Fairfax-esque theme combines wine and gold on the contrasting midsole while a black base allows for the gold Swoosh on the midfoot strap to truly shine. 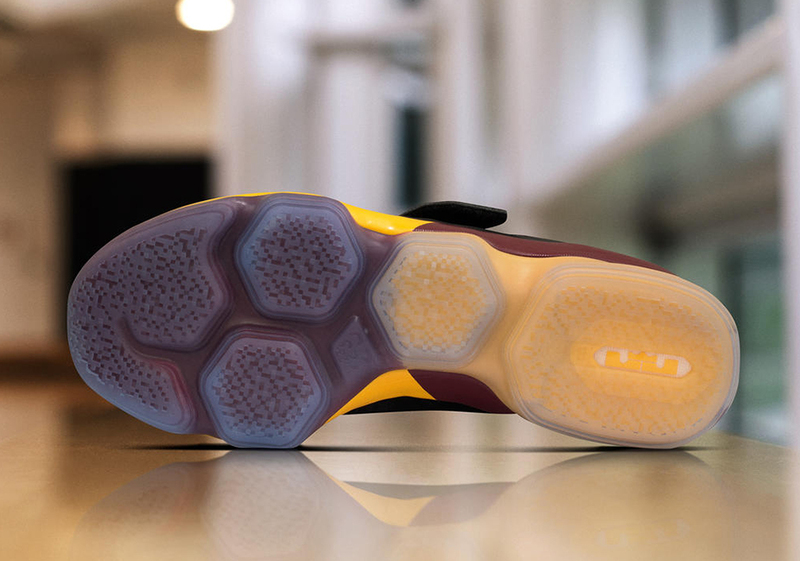 Check out more detailed shots below and stay tuned for more Nike Basketball updates right here on Sneaker News.